In this vibrational universe, experiences are not created “out there” in the external, physical world. They are created inside one’s own mind. Every human act starts with a thought. Intentionally creating something that is desired and intentionally changing an unwanted experience are both accomplished by shifting one’s own vibration to be in harmony with the vibration of that which one chooses to be, do, have and/or experience. Vibration is a function of thought. When a person thinks about something, he/she vibrates in harmony with it. The point of mental focus directs the Universal Creative Energy to physically manifest that which has been the object of attention. It’s called “The Universal Law of Thought”! We each create our own personal reality by our thoughts, feelings/emotions, beliefs, attitudes, expectations, words and actions. We do so within the context of our human life on Earth, and within the contexts of the things we cannot change, such as our age, genetic, ethnic and cultural origins. I am that which I am. You are that which you are. I accept, honor and respect you as you are. I honor, allow and support you to be, have, do, express and experience who you are… to live your life as you choose. I ask and expect you to allow the same for me. I honor the Golden Rule “DO ONTO OTHERS AS YOU WOULD HAVE THEM DO UNTO YOU” and call for you to do likewise. Life is what it is. Avoid judging, condemning, or attempting to alter those aspects of the external world over which you have no physical control. By correctly applying the Law of Thought and the Law of Allowing, you can intentionally re-create yourself to be, do, have, express and experience whatever you choose in life. There are no VICTIMS, only UNCONSCIOUS CREATORS! We create 100% of our personal experiences. That’s bad news for those who live in victim consciousness. Why? Because their personal creation process creates all the garbage in their lives for which they blame others, and it creates all the circumstances that they claim are beyond their control. That’s not to say that those who are creating negative experiences for themselves are guilty of anything. It’s not about blame, it’s about responsibility. It’s not about punishment, it’s about recognizing cause and altering one’s casual thoughts, beliefs and actions. nobody intentionally creates problems for themselves. most people simply create their experiences by default and/or by accident. Instead, if you choose to do so, you can learn to consciously and intentionally create your own experiences. Co-creations: We must also consider the fact that a great many of our creations are done with the conscious or unconscious cooperation of others. Co-creation includes everything from 2 people interacting or the entire human collective consciousness. Where co-creations are concerned, you cannot control the creations of another. You can, however, control your response to what you find yourself experiencing. And you can influence how and what others create. Ignorance of these three laws causes chaos and confusion. Ignoring them causes our experiences to come about mostly by accident, coincidence, and default. To understand any aspect of life and to make conscious choices about that aspect, one needs to understand the three universal laws. All three of these laws are vitally important because they exist and apply to all of us. In every waking moment we are creating and/or altering our future, and we are doing so by way of the universal laws. We cannot not create, so our choice is to create either by accident/default or by conscious intention. 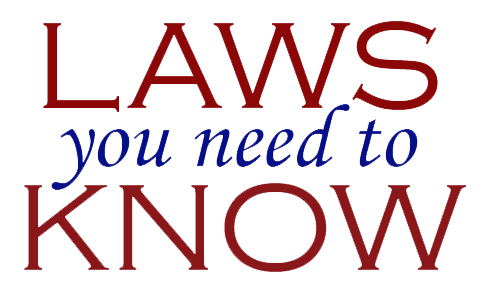 These laws also apply to your life regardless of your beliefs about the existence or non-existence of God and regardless of your beliefs about what a human being actually is. The three rules above apply weather or not you like them, and whether or not you are even aware that they exist. Each of our lives is a product of the past use of these laws. There are no victims, only unconscious creators. These laws are simply guidelines towards conscious intention and creation of your world, the way you want it to be!